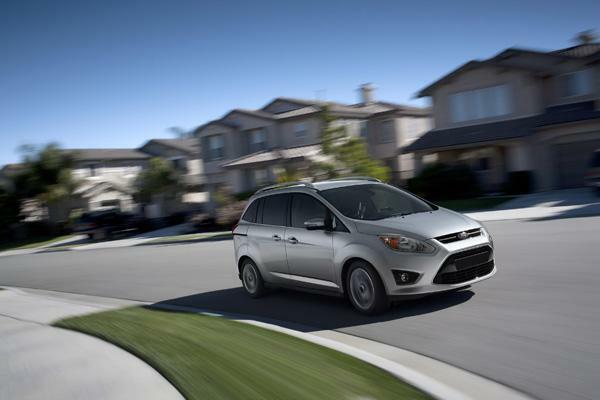 Ford is upping it's fuel economy numbers with its "C-Max" cars. New, more stringent fuel economy standards are the topic of conversation in Detroit today at the first public hearing for the proposed 2017 to 2025 model year CAFE standards (Corporate Average Fuel Economy standards). Today's meeting in Detroit is the first of three meetings. The others will take place in Philadelphia and San Francisco. So far, the remarkable news for a proposed standard that calls for fleet-wide average fuel economy of 54.5 mpg by 2025 is the lack of any formidable opposition. For a long time, the federal government's fuel economy standards for automakers remained static. For passenger cars, they didn't change for 20 years. 27.5 mpg was the standard from 1990 to 2010. For light trucks, the standards were lowered in 1990 and began to eek up in subsequent years (to a projected average of 24.2 mpg for model year 2011). Car companies, labor unions, legislators - many of them cried foul when there was talk of bumping up the federal fuel economy standards. The government had no business in meddling in the affairs of the free market, they said. Their argument, American consumers value power, and size over fuel economy. But now, after George W. Bush's 2007 "oil addiction" intervention; the economic collapse of 2008; the experience of gasoline at $4/gallon; and the Chrysler and GM bailouts, things are quite different. For the first time in 20 years, fuel economy standards were raised for passenger cars in the 2011 model year. And standards for light trucks and cars will continue to increase until 2016. And the Obama Administration's proposed 2017 to 2025 standard looks like it will be approved barring any unexpected opposition. In Detroit today, leaders from environmental groups sat next to leaders from the United Auto Workers praising the proposed standards. And when the latest proposal was first announced last July, most auto companies were on board. New CAFE standards take a vehicle's size into consideration. In the past, there was one standard for passenger cars, and one for light trucks. Domestic automakers said that put them at an unfair disadvantage. European and Asian car companies build smaller cars for their markets, but American consumers were different. Gas is typically cheaper here in the U.S., and Americans prefer bigger cars, so meeting CAFE standards was more difficult for them. Now, the size of the vehicle goes into the calculation. If you think about a car taking up a rectangular space on the pavement (with the tires being the corners of the rectangle), that’s the foundation from which the new standards are set. As I posted last week, some say these new standards create an incentive for automakers to build bigger. If the new standards are agreed upon, that's planning for a standard that will run for 13 years (until 2025). In the past, the longest a standard lasted was 5 years. "Automakers really like the lead time, because typically it can take 5 years to bring a model to market, but often times it can take even longer, so we need the certainty and the sense that there’s not going to be shifting standards and different roadmaps, so that we can plan effectively and make those long term investments,” said Berquist. At one point, automakers were faced with the possibility of having to comply with three standards. The CAFE standards from the National Highway Traffic Safety Administration; a federal greenhouse gas standard from the U.S. Environmental Protection Agency; and a standard from the state of California that would be adopted by several other states. The New CAFE standards will put in place one uniform standard, giving automakers more regulatory certainty. CAFE standards are set on what cars and trucks automakers sell to consumers. It doesn’t matter what cars are sitting on dealer’s lots. So, if around 2020, there are bunch of electric cars sitting unsold. The standards can be revisited. The rulemaking proposal… will deal with establishing firm standards for the 2017-'21 period, but anything dealing with fuel-efficiency for the 2022-'25 period will be presented as a proposal. There will be a review around 2020 so that automakers and regulators can negotiate the specifics of the final four years of the plan, taking into account the state of the industry and the various technologies at that time. 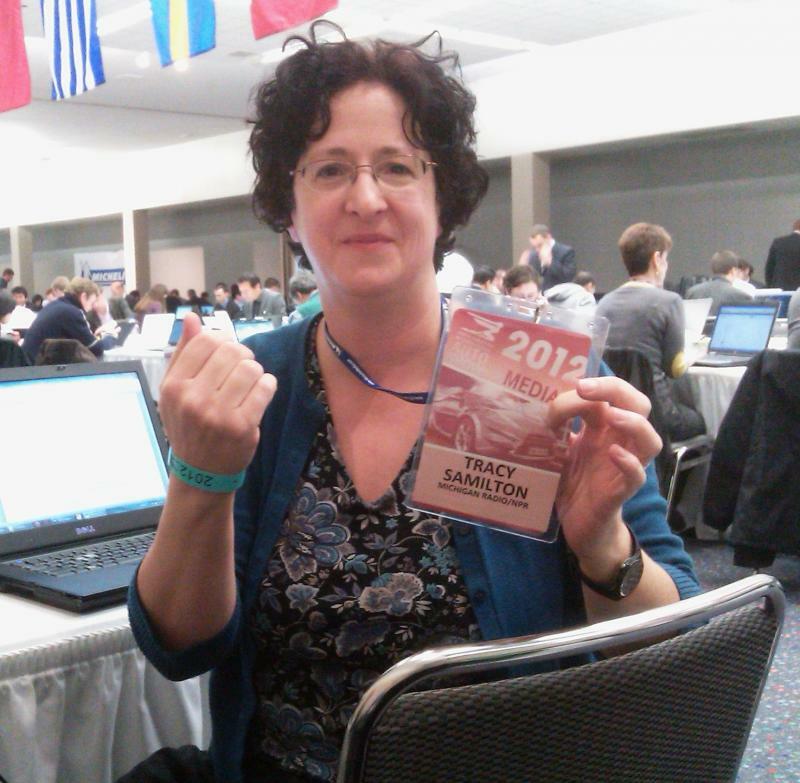 Gloria Berquist likes to point out that electric and hybrid cars just make up around 2 percent of the car market today. If car companies are going to meet the standards, she says, American consumers are going to have to buy into these new technologies. Technologies that are expensive right now. “Almost every single car on the road will still be burning gasoline in 2025. And in fact, most of the new cars on the road won't even have to be hybrids under this standard,” said Friedman. "The problem was what automakers used to do was say if you want fuel economy, go buy a compact, and that's unfair. What if you're a parent of three kids and you need them in car seats? You can't use a compact, you need a minivan. But for decades, the fuel economy of minivans was stuck at about 20 mpg. Thanks to these new standards, the market can actually work,” said Friedman. For a standard that seeks to be in place for, potentially, the next thirteen years, it will be interesting to see if they stick. 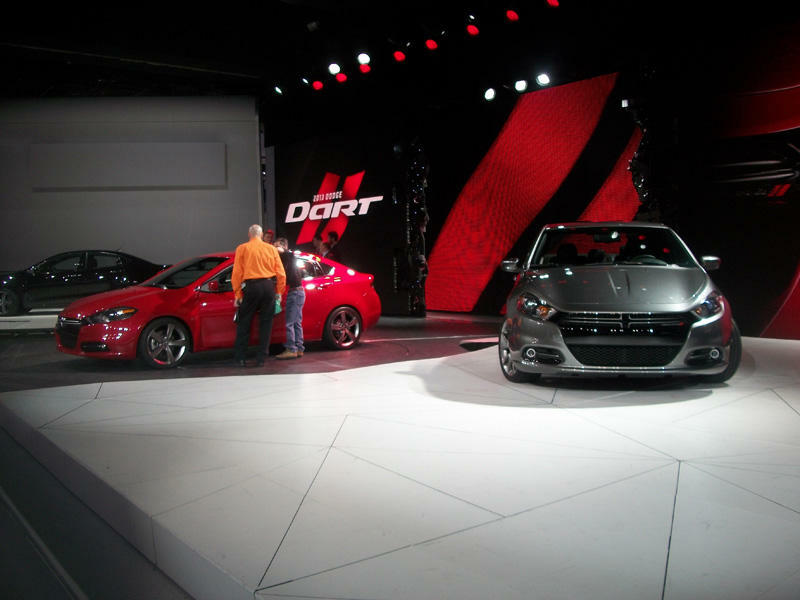 The last time I attended the Detroit Auto Show was around ten years ago. Back then, the so-called “green” fuel efficient cars were relegated to a small corner of the Cobo Center. There weren’t that many, and most seemed to be concept cars. The show seemed to be all about big powerful SUVs, and new cup holder designs, but little, if anything, was changing under the hood. The mood at the North American International Auto Show is upbeat. Sure, Europe’s debt crisis and the battered Euro have auto executives concerned, but so far that crisis isn’t stopping the U.S. economy’s improvement, albeit at a very measured (slow) pace.